Our ﻿Hawaii party bus﻿ is just a bus without you. You bring the party, we supply the luxury party bus. 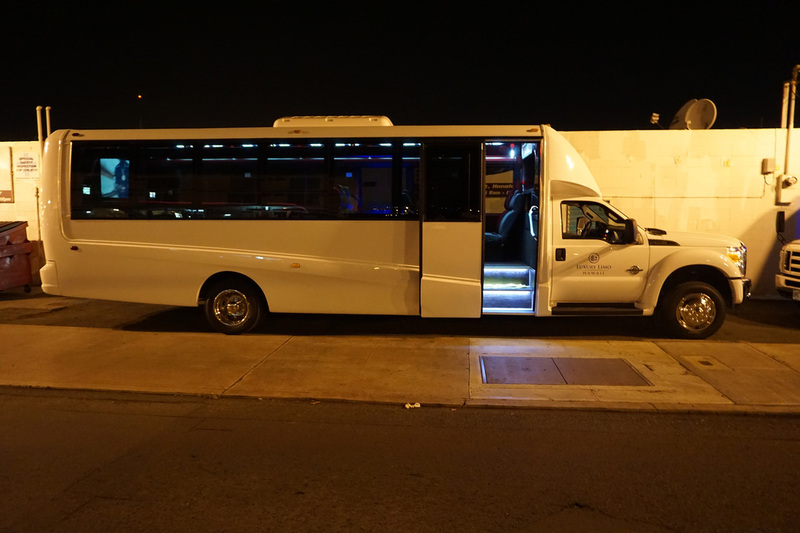 Luxury Party Bus Hawaii is HI's finest party bus and party chauffeur company. Like none other, we provide the premiere party on wheels, rolling you and your entourage island-wide on Oahu from the east side to the west, north to the south and everywhere else in between. Oahu's finest party bus and limousine service provides a unique, classy, and luxurious way to party around the island, transport from destination to destination, bachelor/bachelorette parties, wedding limo service, graduations, proms, concerts, night on the town, bar hopping, night clubbing, sight seeing, UH Warrior games, Hawaiian island tours, and anything you need, want, and desire us for. Our Hawaii party bus services are flexible and can accommodate your custom requests. Just let us know what you are looking for. Our party buses are top-notch luxury equipped with full bars, big screens, bumpin' sounds to get down, and surprises that you and your party would have to find out for yourselves. 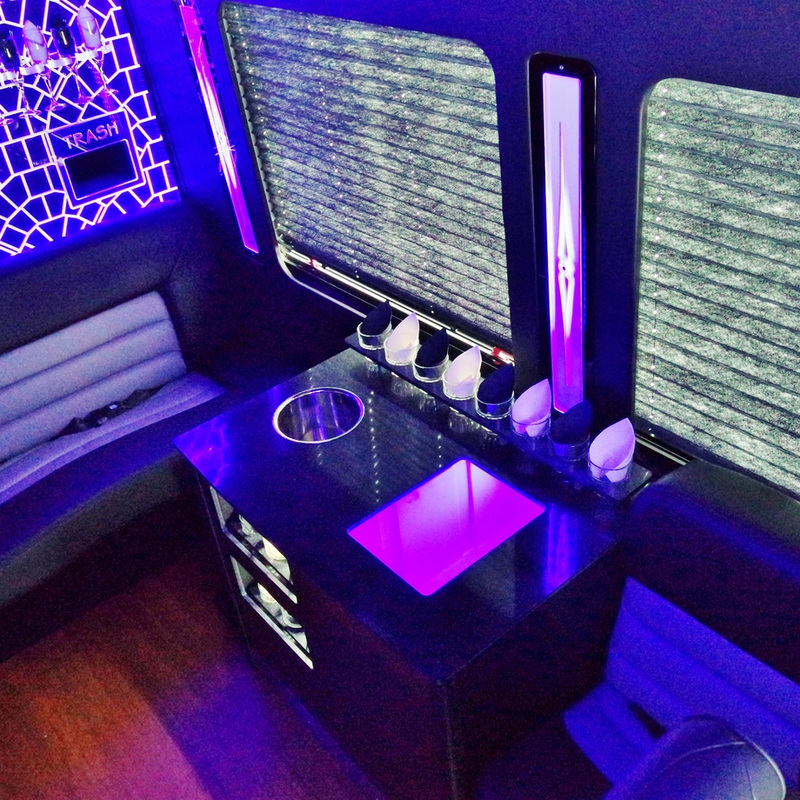 So either get your groove on or sink into luxury in our one-of-a-kind party buses. 1. Professional, prompt, punctual, cool and chill service oriented drivers. We're are a locally based company so we were brought up on Aloha, and that's how we serve. Enough said. 2. Oahu's newest and finest fleet of party buses. We roll with the times. As the party scene changes we change. We strive to provide you and your group with the best and unique way to party. Our modern fleet of custom party buses will not fall short from doing so. 3. 24/7 party bus service. Our party buses don't sleep. The party doesn't start until you walk-in. 4. Safe and secure way to party. Our driver's know how to party safe and you and your entourage's safety is our priority. We are Hawaii's top party bus designated drivers. 5. Competitive Hawaii party bus rates. Our rates are relatively competitive but we will never compromise our quality of service and/or our party buses just to compete on price. Our value is built in. Get in and you'll find out what it's all about. 6. Not just parties. Luxury Hawaii Party Bus offers a wide range of services as well. We provide a grand luxury limo service on Oahu island wide with pride. 7. Club like atmosphere. 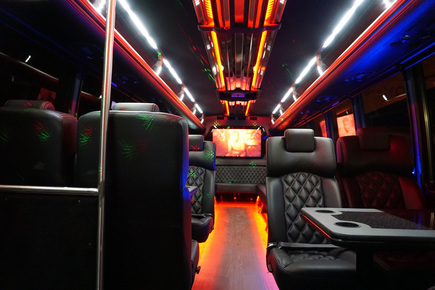 Our one of a kind party buses are equipped with state of the art sound systems, laser lights, full bar, television screens, and privacy when needed. You are the VIP when you roll with us in our dope party bus. 8. Customizable service. We are like the ocean, contouring to the Hawaii Islands. We have the flexibility to fulfill your transportation needs, wants, and desires. Just let us know what you would like and we'll accommodate. 9. A new experience from time to time. As we mentioned, we change with the times. So when you book with us it will be a new fresh party experience that you've never had before. Call us at (808) 725-3028 and reserve your luxury Hawaii party bus today. Or fill out the form to the right and we'll get back to you within 24 hours guaranteed! Pick up, party for a bit, and drop off. Not to mention in cool comfortable luxury. When we take you and your entourage from point A to point B, it's not going to be in a straight line, but party time. ﻿Hawaii's Best Party Buses﻿ Guaranteed! Our fleet of party busses are the newest most immaculate party limo buses on Oahu. 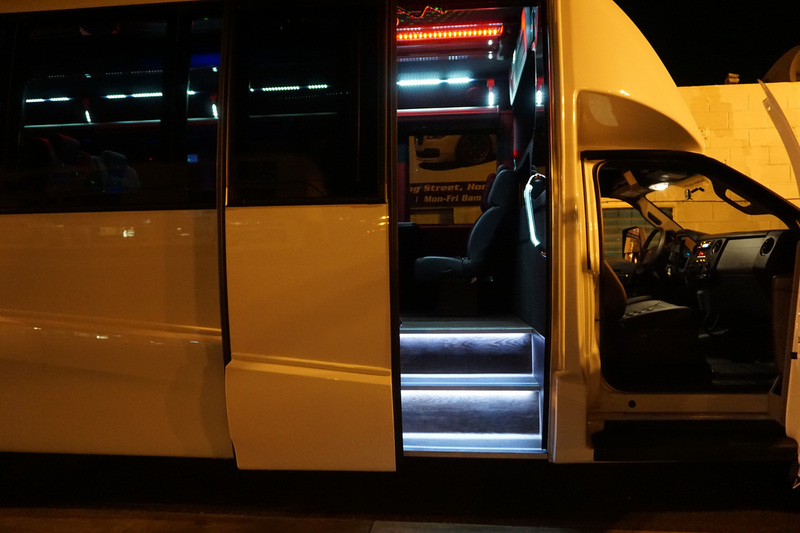 Step into modern luxury with no joke comfortable leather seats, state of the art bumping sound systems, full bars, laser lights, large HD flat screen T.V. 's, and amenities that you'll find out only if you party with us. Modern makes a difference, and we are different. So don't party like everyone else in the same old school party buses. Party differently, in luxury with Luxury Party Bus Hawaii! Well, there are many so called party busses out there. But our party busses are extremely modified passenger vehicles made especially to party. We go above and beyond what out there with our limo busses and services so that we can provide you and your group the best, most unique Hawaii party experience on the island in luxury! Call us at (808) 725-3028 and sink into first class, relax, or wild out! Servicing: Honolulu, Aiea, Ewa Beach, Haleiwa, Hauula, Hawaii Kai, Kaaawa, Kahala, Kahuku, Kailua, Kaneohe, Kapolei, Laie, Lanikai, Maili, Makaha, Manoa, Mililani, Nanakuli, Pearl City, Wahiawa, Waialua, Waianae, Waikiki, Waimanalo, Waipahu. You are the VIP when you roll with us. Ask us about our VIP access to the hottest nightclubs here in Honolulu! "When you roll with us, you are the VIP!"